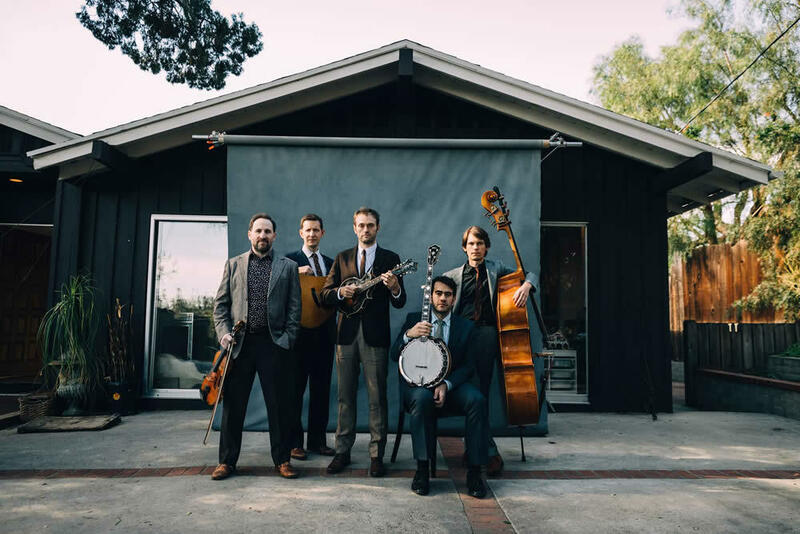 The Punch Brothers are set to play a show at MASS MoCA March 16. Tickets go on sale to the general public this Friday, November 16 -- they're $39 ahead / $49 day of. 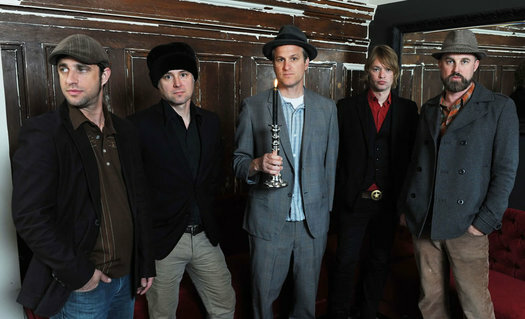 The group features a lineup of progressive bluegrass stars, including Chris Thile. (He's now the host of Live from Here, the reformulated and retitled A Prairie Home Companion. And he was a MacArthur "genius" grant winner.) They released a new album this past summer. The opener for the MASS MoCA show is Gabriel Kahane. 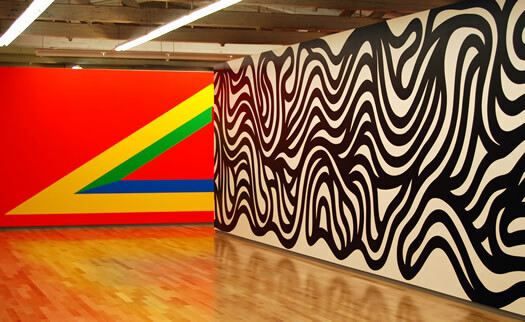 It's been 10 years since the installation of the massive Sol LeWitt exhibit at MASS MoCA and on Saturday, November 17 the museum has a day of talks, performances, and other activities related to the display. The daytime events -- including a panel discussion about some of the questions LeWitt's work prompts about art and collaboration, pop-up performances, and treasure hunts and art making -- are free with museum admission. There's also an evening dinner and performance with Quindar and Jason Moran that's ticketed separately. 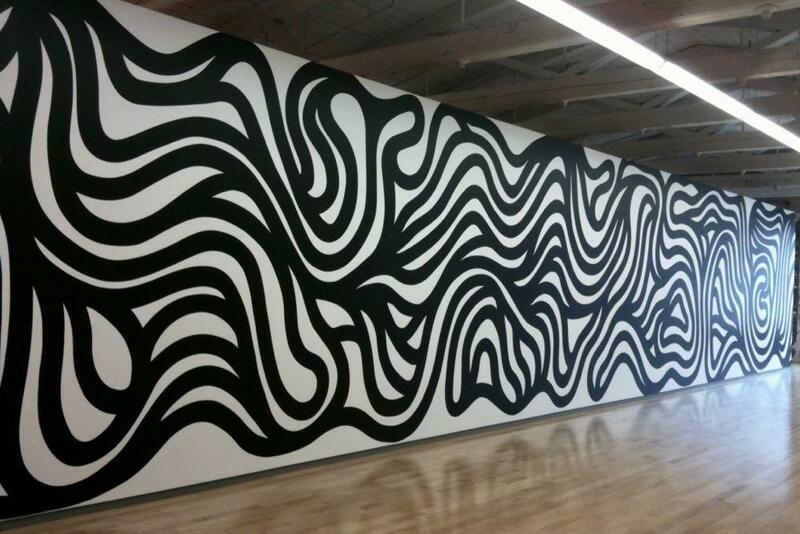 Sol LeWitt: A Wall Drawing Retrospective comprises 105 of LeWitt's large-scale wall drawings, spanning the artist's career from 1969 to 2007. These occupy nearly an acre of specially built interior walls that have been installed--per LeWitt's own specifications--over three stories of a historic mill building situated at the heart of MASS MoCA's campus. The exhibit is on display for another 15 years. But if you've never seen it, don't wait -- go check it out sometime soon. (Or go see it again.) It's worth the trip over to North Adams. 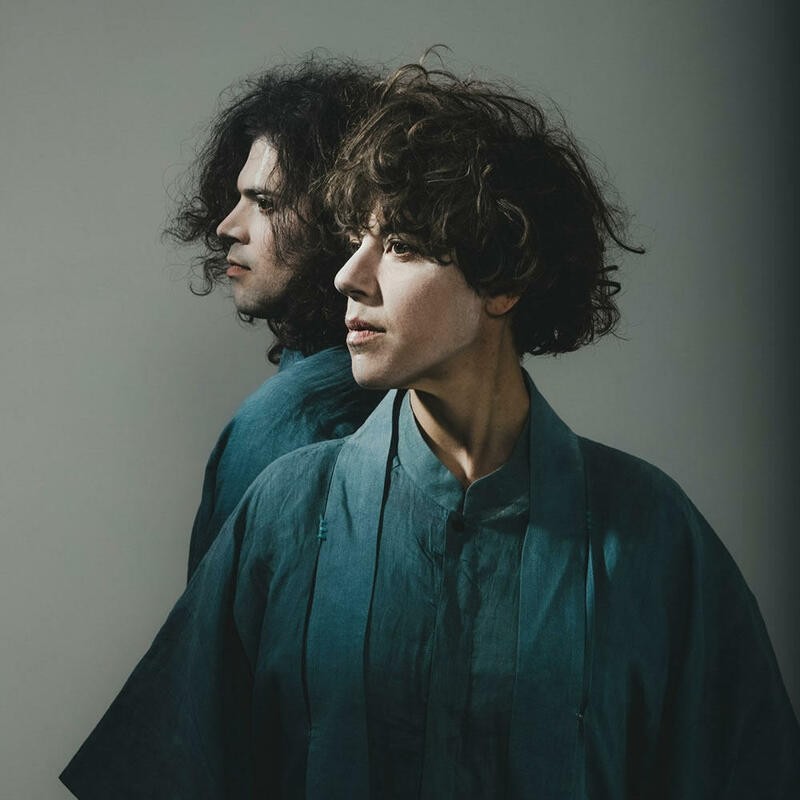 The art pop acts Tune-Yards and U.S. Girls are set to play a show at MASS MoCA October 30. Tickets go on sale to the general public this Friday, June 15 -- they're $25 ahead / $35 day of. By the way: Tune-Yards is also the opener for the David Byrne show at The Palace September 9. The sold-out Decemberists show scheduled for MASS MoCA this Friday, June 15 has been postponed to October 4 because Colin Meloy is suffering from vocal strain. (Their Mountain Jam appearance has been canceled.) Tickets will be honored for the new date, but if you can't make it, contact the box office. Bonnie 'Prince' Billy is lined up to play a show at MASS MoCA October 13. Tickets are $30 ahead / $40 day of. 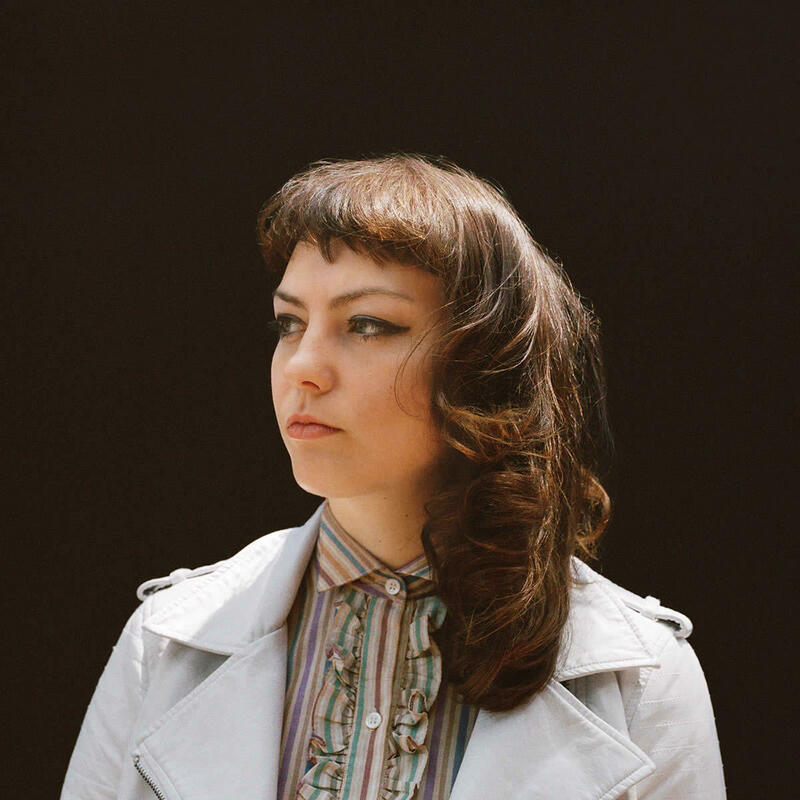 Indie rock singer/songwriter Angel Olsen is set to play a show at MASS MoCA September 29. Tickets go on sale this Friday, May 4 -- they're $30 ahead / $40 day of. Olsen's 2016 album, My Women, got strong reviews -- it that includes that song "Shut Up Kiss Me". And she followed it up with a collection of B-sides, demos, and covers last year that was also well received. From a Village Voice profile last November: "Olsen has that rare gift -- perhaps the gift that matters most in popular music -- that only the truly profound talents do, of writing songs that are both specific enough to feel personal to her but general enough that almost anyone listening can sing along and think, 'This happened to me.'" The Fresh Grass Festival is back at MASS MoCA September 14-16. Festival passes are currently $115 for adults / $99 for students / $46 for kids (under 6 free). The passes include admission to the museum's galleries. It's been more 40 years since the influential new wave group first got together. And Debbie Harry is now 72 years old. The band released a new album just last year. Let us all have the longevity and verve to rock like that. The opener for the MASS MoCA show is And The Kids. By the way: The Youtube auto suggest column on Blondie's popular songs is a deep rabbit hole of 80s new wave pop and its descendants. Take that as either a warning or an enticement. 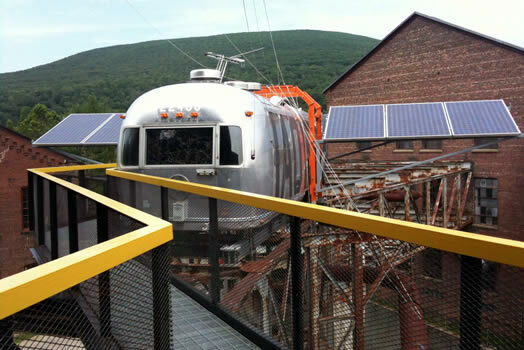 The band released an album last August, its first in five years, and the MASS MoCA stop is a tour for that album. 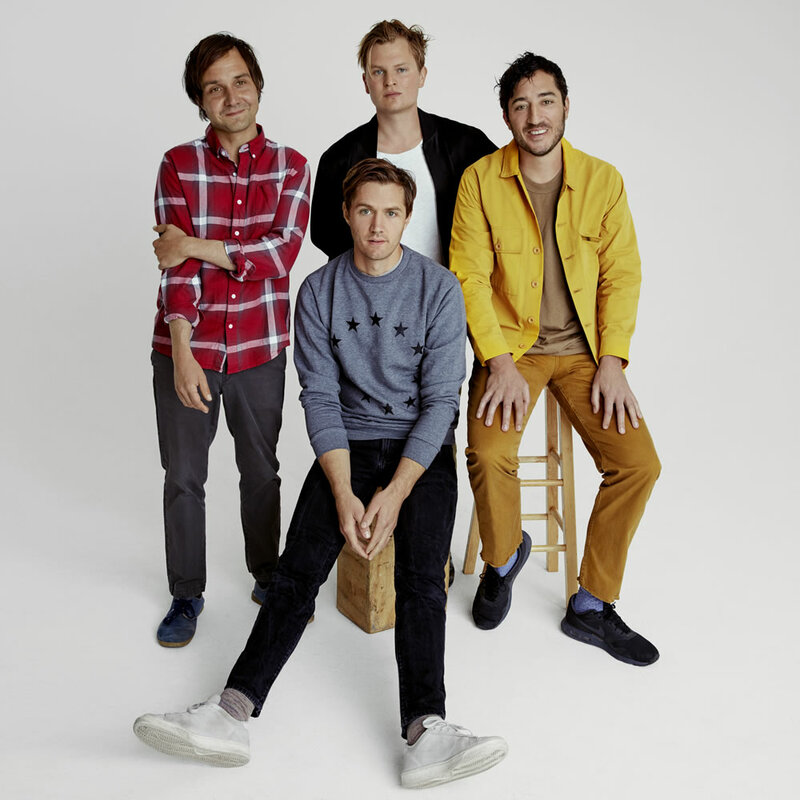 By our recollection, this is the closest Grizzly Bear show to the Capital Region their show at Skidmore in 2009. They also played two warm-up shows for the new album last August in Kingston. We wouldn't be surprised if this MASS MoCA show sells out. 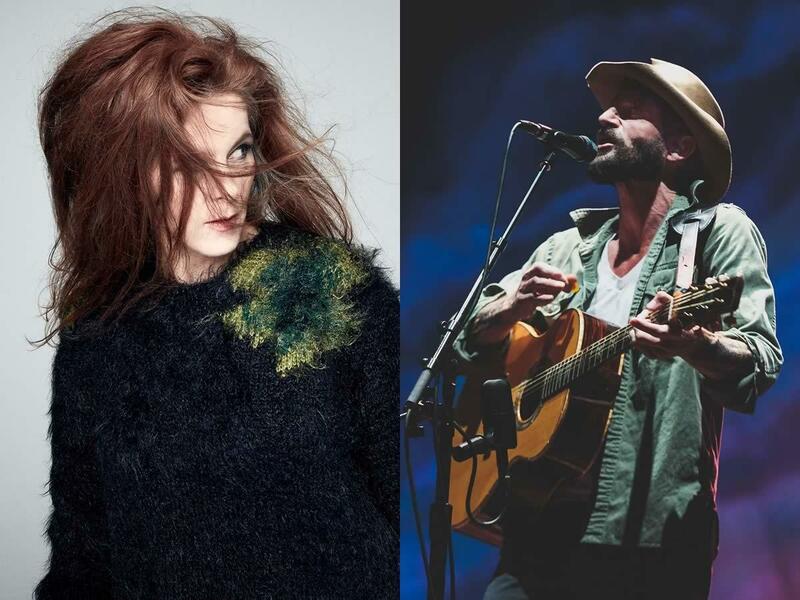 The two singer/songwriters will then be at Brewery Ommegang July 4. Tickets go on sale March 5 -- they're $55. The tour bill has LaMontagne as the headliner and Case as "a very special guest." 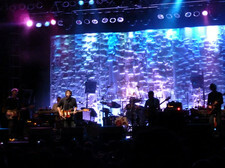 Ray LaMontagne played a sold-out show at the Troy Music Hall last October. And, as you know, Neko Case has a voice like she's from Asgard or somewhere like that (and she just recently played a show at The Egg). So getting tickets sooner rather than later is probably a good idea if you'd like to go. Barnett's been riding a wave of critical acclaim since her "Avant Gardener" track in 2013 and subsequent debut album in 2015. 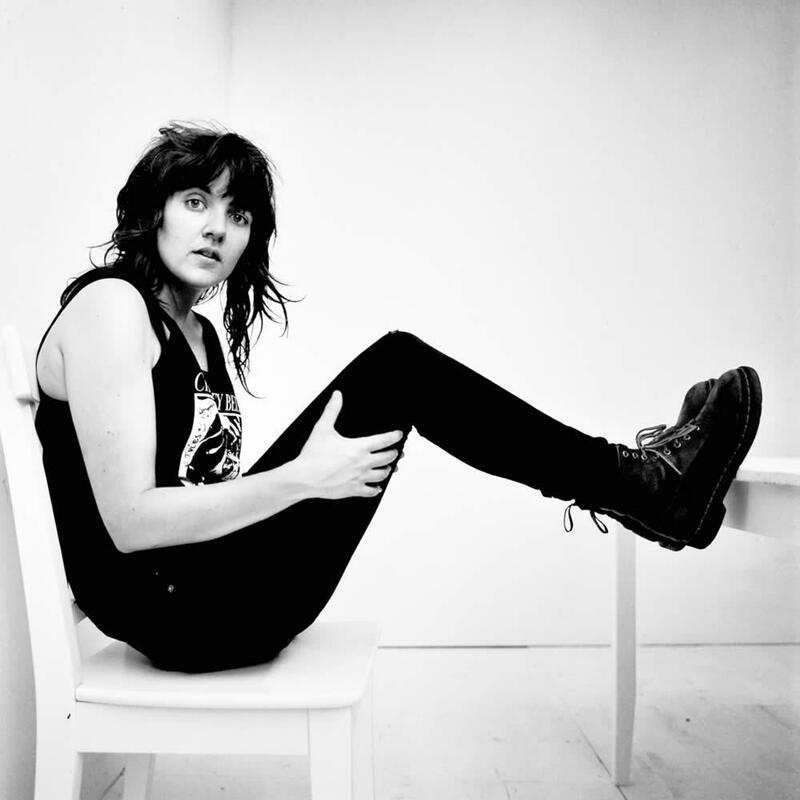 In the time since she's collaborated with Kurt Vile, and she has a new album set for release this May. The opener for the MASS MoCA show is Vagabon. The concert will be on the museum's courtyard stage. It says it expects tickets to sell quickly. 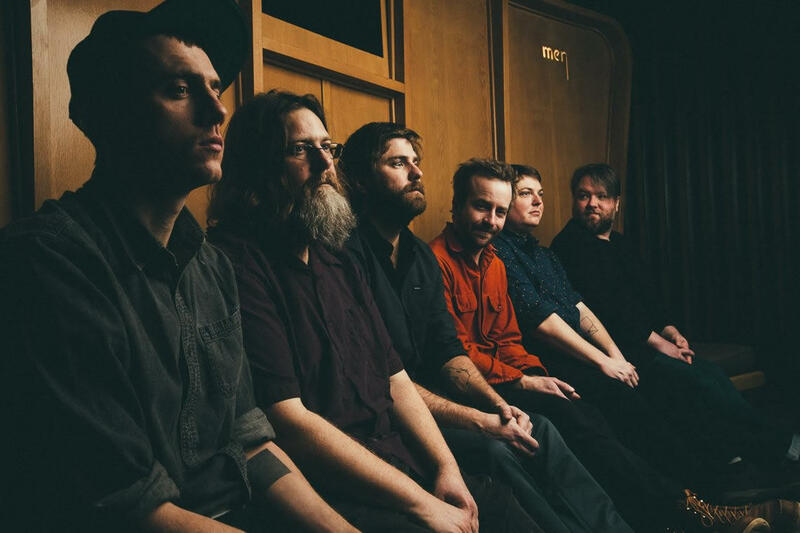 With I'll Be Your Girl, the Decemberists--lead vocalist and guitarist Meloy, guitarist Chris Funk, keyboardist Jenny Conlee, bassist Nate Query, and drummer John Moen--explore new approaches to making music and broaden their sonic range. Previous Decemberists' records, such as The Hazards of Love or The Crane Wife, have been structured around thematic or musical concepts, though Meloy maintains that ultimately it's always "our frame of mind that ties them together." This time, he says, the songs share a mood that's steeped in our current times and condition-- "exuberant nihilism, an apocalyptic dance party was what we envisioned." We're guessing this show will sell out, and probably quickly. So if you'd like to go, well, you know, don't wait. + The Bon Iver shows in March are sold out. + As is the Sylvan Esso show March 31. 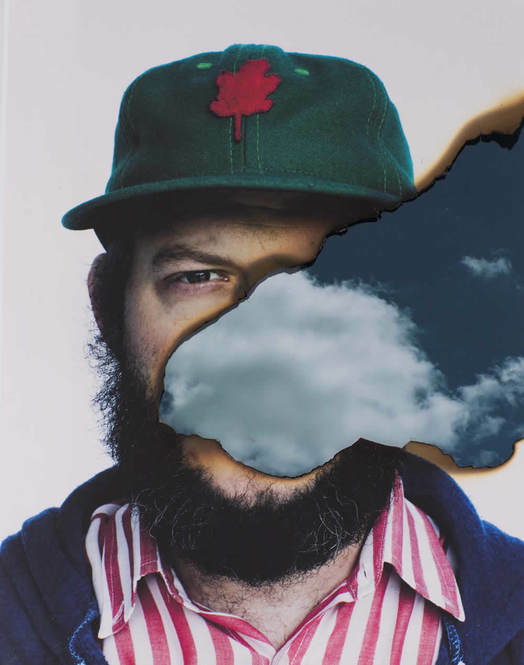 Bon Iver is set to play MASS MoCA March 24 and 25 as part of a collaboration with the dance company TU Dance. Tickets are on sale now -- they're $25 ahead / $35 day of. Repeat Grammy Award-winner and endlessly influential balladeer Justin Vernon, aka Bon Iver, visits MASS MoCA to perform a work-in-progress score alongside dance company TU Dance. The company's co-founder and "incredible polyrhythmic genius" (Star Tribune) Uri Sands guides his troupe through movement that lilts and tumbles alongside Vernon's expansive sound. There's a good chance these two shows will sell out, so it's worth getting tickets sooner rather than later if you'd like to go. 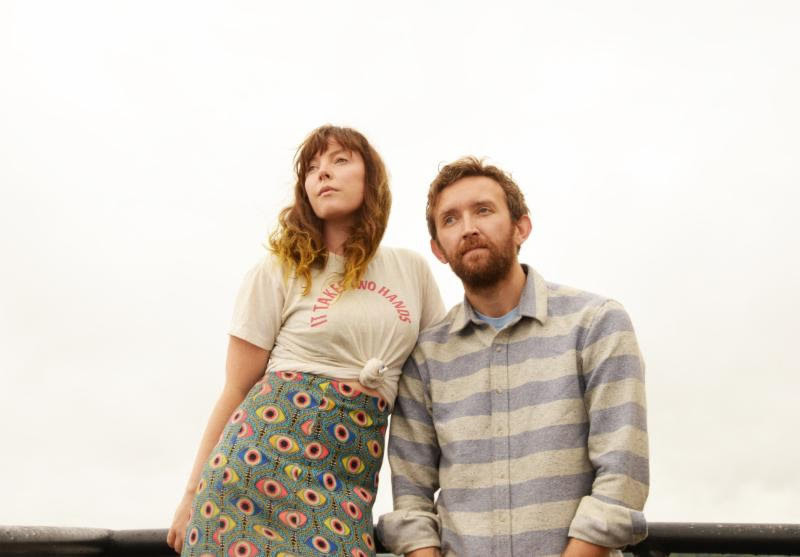 The indie pop duo Sylvan Esso is lined up to play a show at MASS MoCA March 31. Tickets go on sale this Friday, November 10 -- they're $28 ahead / $35 day of. Here's a new video the act playing "Die Young." The stop in North Adams is one of a string of dates for the band after returning from a tour in Australia. Sylvan Esso played at show at Jupiter Hall at the Lucky Strike at Crossgates this past May. It sold out ahead of time. So if you're interested in going to this show, getting tickets sooner rather than later is a good idea. Godspeed You! Black Emperor is set to play MASS MoCA March 10. Tickets are on sale this Friday, November 10. They're $26 ahead / $33 day of. The Fresh Grass Festival is back at MASS MoCA September 15-17. Festival passes are currently $110 for adults / $98 for students / $48 for kids. 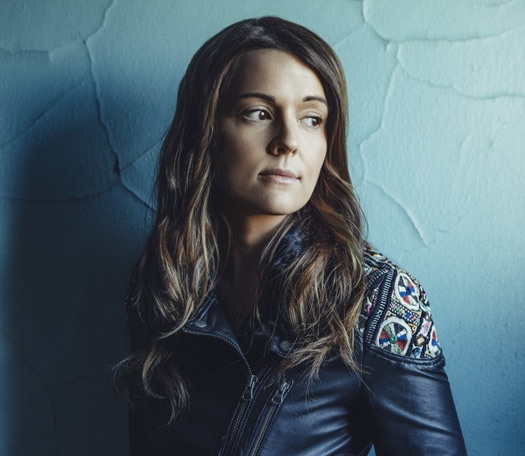 Headliners for the festival include Brandi Carlile, Railroad Earth, and The Del McCoury Band. And the festival just added a handful of acts to the lineup, which is below. The RISK! 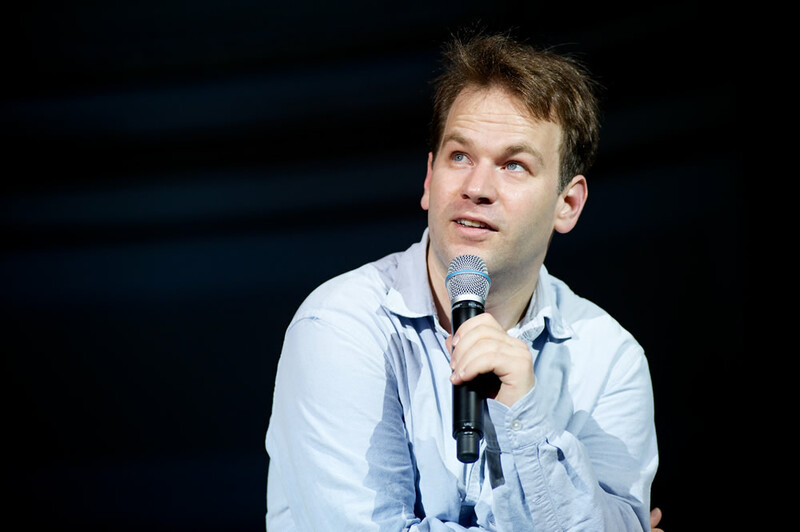 storytelling podcast will be at MASS MoCA July 1 for a live show. Tickets are on sale now -- they're currently $18 until May 3, when the price increases to $24. RISK! 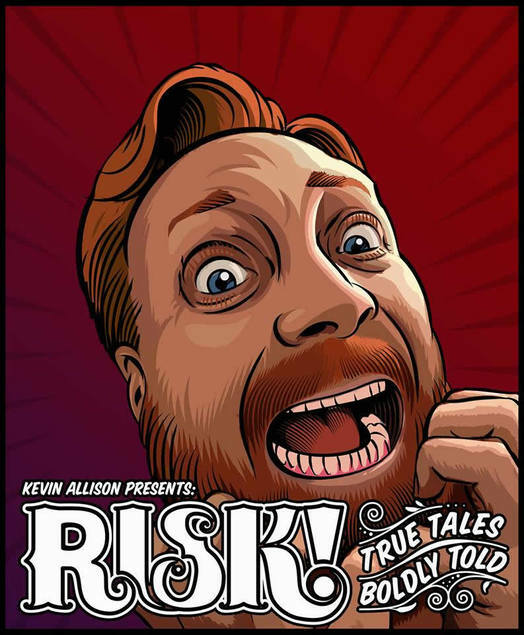 is a live show and podcast where people tell true stories they never thought they'd dare to share in public, hosted by Kevin Allison of the legendary TV sketch comedy troupe, The State. 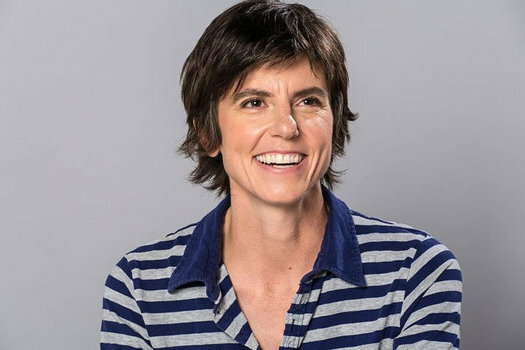 The award-winning live show happens monthly in New York and Los Angeles and has featured people like Janeane Garofalo, Lisa Lampanelli, Kevin Nealon, Margaret Cho, Marc Maron, Sarah Silverman, Lili Taylor, Rachel Dratch, Andy Borowitz and more, dropping the act and showing a side of themselves we've never seen before. The weekly RISK! podcast gets over two million downloads each month. Slate.com called it "jaw-dropping, hysterically funny, and just plain touching." The stopped in this area back in 2012 with two shows at The Linda. The first was that spring and apparently so successful that the show came back that same fall. Speaking of summer events at MASS MoCA... On July 15 the museum will be hosting a screening of Mad Max with a live score performed by the ensemble Morricone Youth. Tickets are $20 ahead / $26 day of / $16 students. 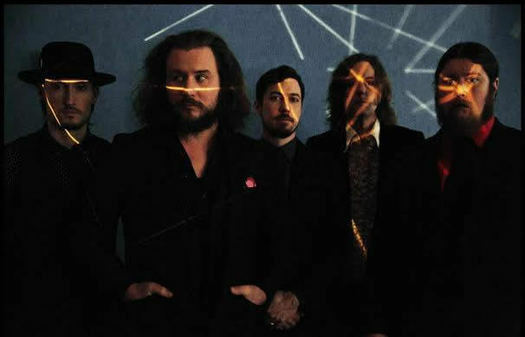 Coming to MASS MoCA this summer: My Morning Jacket on August 12. Tickets go on sale to the general public this Friday, March 17 -- they're $46 ahead / $56 day of. This is an outside, rain-or-shine show. The opener is The Districts. The lineup for the Solid Sound Festival this summer at MASS MoCA is out. 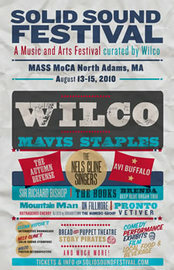 It's headlined by Wilco, as usual. The band will be playing two shows at the festival, as usual. A few others from the lineup: Television, Kurt Vile and the Violators, Robert Glasper Experiment, Dawn of Midi, Dave Alvin and Phil Alvin with the Guilty Ones, Kevin Morby, Joan Shelley, and Big Thief. John Hodgman will be back with another comedy showcase. And Mark Bittman -- "Real Food Crusader" -- is also mentioned under "eat and drink." The full announced lineup below. This year's festival is June 23-25. The ticket currently on sale is the advance 3-day pass -- it's $159 plus service fees. There's also a kids pass (ages 6-10) for $50 (under age 6 is free). The rock band Cake is set to play an outdoor show at MASS MoCA May 28. Tickets are on sale now -- they're $35 ahead / $45 day of / $55 for preferred tickets. 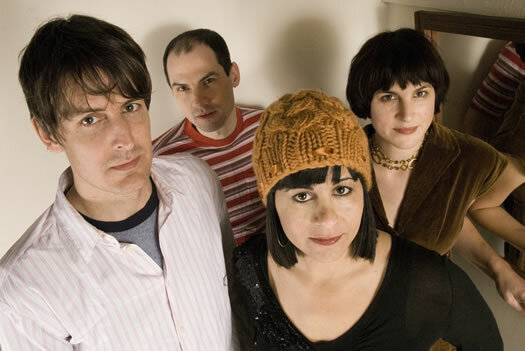 CAKE made its mark flying in the face of convention -- an anti-grunge, post-pop band who scripted smart lyrics, stripped away the original over-engineering of its live shows in order to broadcast those lyrics with laser beam precision -- and above all, always have fun doing it. This high-minded, low-tech approach manifested an impossible-to-pin-down, witty and gritty, yet wildly welcoming and familiar sound -- and a mainstream following of cult-like devotion. That weekend is also the opening weekend for MASS MoCA's huge new expansion, Building 6. And, as pointed out by grandmastergus: Cake will also be playing an outdoor show at Brewery Ommegang May 26. Tickets go on sale this Friday, February 17 -- they're $50 ($15 for camping). 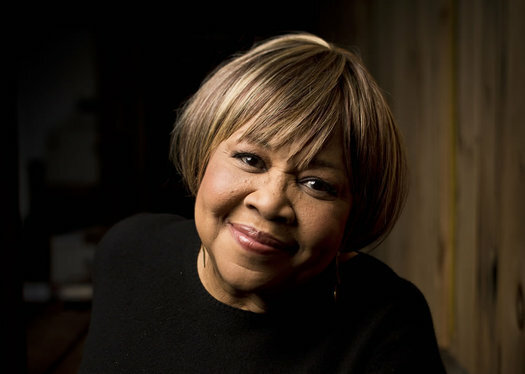 Powerhouse singer Mavis Staples is set for a show at MASS MoCA March 25. Tickets are on sale now -- they're $35 ahead / $45 day of. Mavis Staples is one of the great alchemists of American music, crossing genre lines like no musician since perhaps Ray Charles, and weaving her voice into the very fabric of gospel, soul, folk, pop, R&B, blues, rock, and hip-hop. From her time in the legendary Staples Singers, to her Grammy-winning 2010 collaboration with Jeff Tweedy, You're Not Alone, to her recently released Livin' on a High Note, produced by M. Ward and featuring contributions by Neko Case, Justin Vernon, Ben Harper, and Tune-Yards, Staples is a classic artist who is as vital today as at any point in her legendary career. 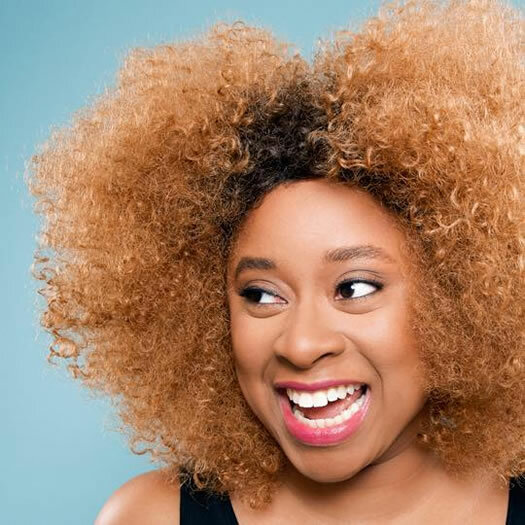 Just this month she was part of the new class of Kennedy Center Honors awardees. A heads-up for next summer: The Solid Sound Festival is set to return to MASS MoCA June 23-25 of 2017. 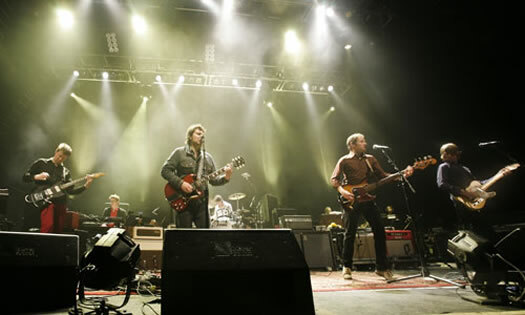 Spanning three days and four stages, Solid Sound includes music by Wilco and its members' side projects, as well as many other (soon-to-be-announced) musical performers. It also features a full comedy lineup programmed by festival alum John Hodgman, family fun for all ages, local food, craft beer, camping, naturalist activities and more. The lineup for this year's Fresh Grass Festival at MASS MoCA is out. 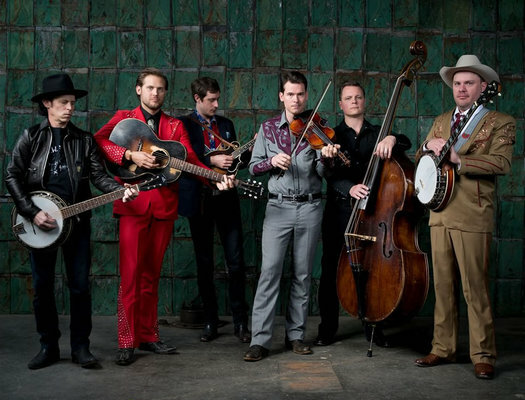 And the top of the bill includes Old Crow Medicine Show, Glen Hansard, Ricky Skaggs & Kentucky Thunder, The Devil Makes Three, Rosanne Cash, and The Infamous Stringdusters. The full lineup (announced so far) is after the jump. The festival also includes events like a silent film screenings with live scores. Fresh Grass is September 16-18 this year on the grounds of MASS MoCA over in North Adams. Early bird festival passes currently $96 for adults / $86 for students / $46 for kids 7-16. 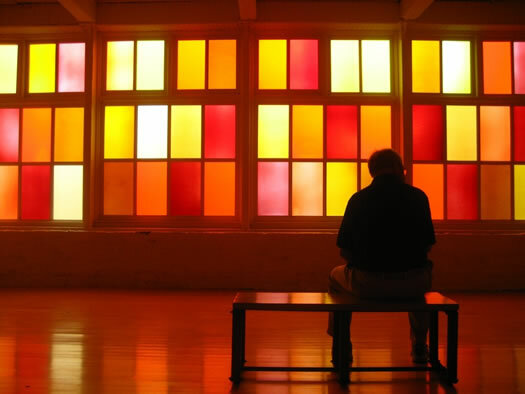 Update: Pre-sale tickets for MASS MoCA members go on sale Thursday, December 17 at 11 am. Tickets for the general public go on sale Friday, December 18 at 11 am. 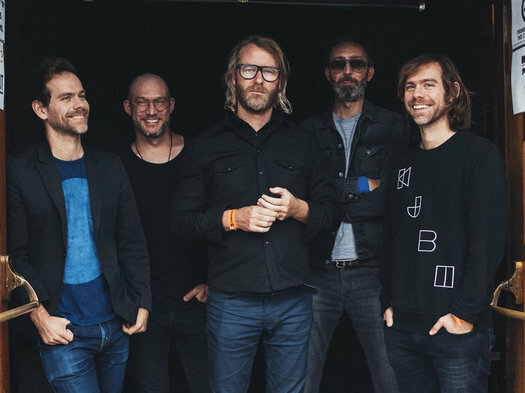 Indie rock kings The National are set to play a show at MASS MoCA June 11. Ticket info is still sparse (the museum says it will be updated soon) -- but it looks like early bird tickets will be $49. The quote in the title is from Wilco's Jeff Tweedy in the trailer, which is embedded above. 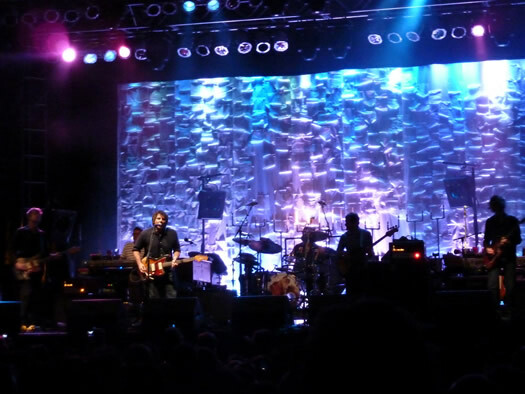 Directed by Christoph Green and Brendan Canty, Every Other Summer is a documentary about the Solid Sound Festival, Wilco's three day music and arts gathering that takes place once every two years at MASS MoCA. Shot in 2013 and featuring performances by Wilco, Neko Case, Yo La Tengo, The Dream Syndicate, Lucius, Foxygen, Sam Amidon, Sean Rowe, The Relatives and appearances from Reggie Watts, John Hodgman, Jen Kirkman and others, Every Other Summer offers a peek into the festival's utopian vibe, and the positive transformative impact it has had on the small rust belt town of North Adams, MA. The doc is available to rent for $4.99 via Vimeo. 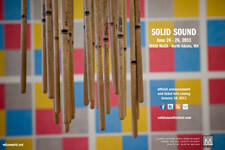 The lineup for the Solid Sound Festival this summer at MASS MoCA is now out. 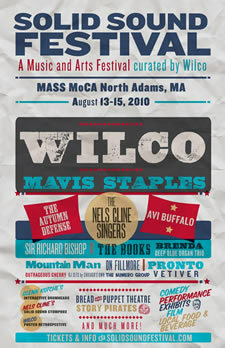 It's headlined by Wilco -- because, you know, it's Wilco's festival. The band will be playing two shows, one each on Friday and Saturday of the festival. A few others from the lineup: Mac Demarco, Parquet Courts, Real Estate, Shabazz Palaces, Cibo Matto, and John Hodgman. The full announced lineup is post jump. 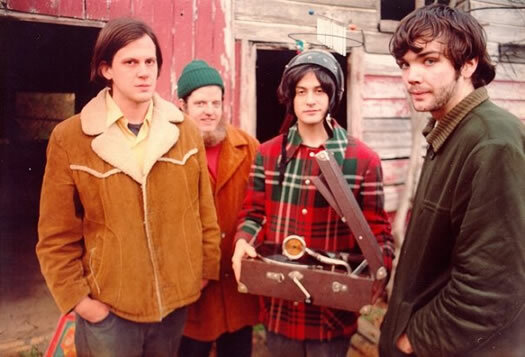 Indie rock band Neutral Milk Hotel is set for a show at MASS MoCA's Hunter Center April 17. Tickets are $36 ahead / $45 day of -- they go on sale this Friday (December 12). 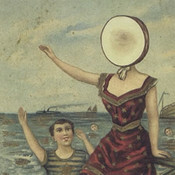 As you know, Neutral Milk Hotel wasn't hugely popular during its first run -- but it has ended up being very influential. You can hear strains of its 1998 album In the Aeroplane Over the Sea pop up in a bunch of indie rock over the last decade plus. The opener for the MASS MoCA show is The Dot Wiggin Band. Believe it or not, ticketing is already starting for next year's slate of summer music festivals around the region. And 2015 will mark the return of the Solid Sound Festival at MASS MoCA. 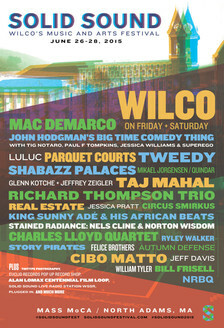 The Wilco festival is back June 26-28 after skipping 2014. Early bird tickets go on sale this Friday, December 5 -- a 3-day pass is $124. A lineup for the festival hasn't been released yet, but in years past it's included a range of musical acts, comedy, and of course, Wilco. 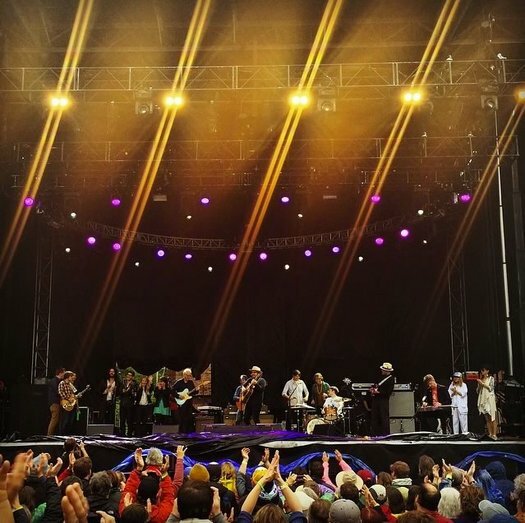 Mountain Jam: The Mountain Jam festival is back at Hunter Mountain June 4-7. And it's already sold through its first presale. Tickets will be back on sale when the lineup is announced, which usually happens in January. 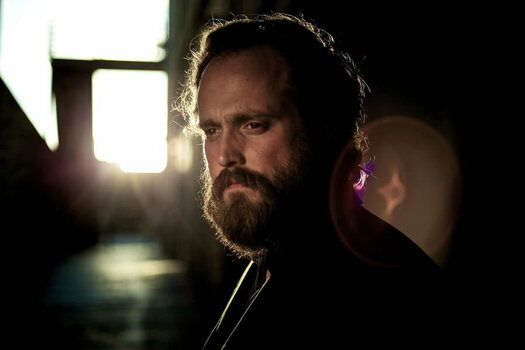 Another summer show: Iron and Wine is set to play MASS MoCA June 22. Tickets are on sale now -- they're $29 ahead / $35 day of. Iron and Wine played MASS MoCA in 2011. That show sold out, so this show will also probably be popular. And just two days later, on June 24, Beck will be there. 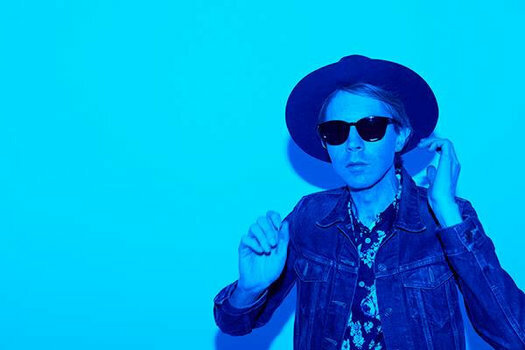 MASS MoCA announced today that Beck will be playing at the museum June 24. Tickets go on sale this Saturday (March 15) at noon -- price info hasn't been posted yet, but they'll only be available through the MASS MoCA box office and there's a six-ticket limit per order update: tickets are $50 ahead / $54 day of. There aren't a lot of details posted about the MASS MoCA show, but it sounds like it will be outside ("rain or shine"). We're guessing this will sell out, and quickly. So if you're interested in going, don't wait. 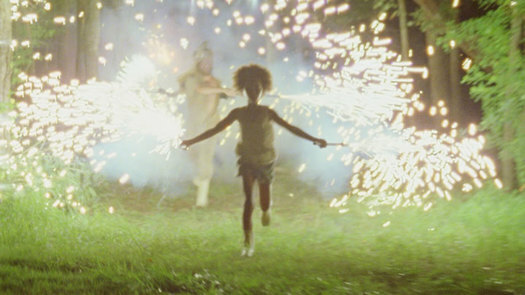 MASS MoCA will be screening Beasts of the Southern Wild on August 10 -- with the score played live by composers Dan Romer and Benh Zeitlin, accompanied by the Wordless Music Orchestra. While it's a lot more work, creatively it helps because it's always a delicate thing for a director to agree to what music takes the forefront in a film. Oftentimes, if the music is taking the lead too hard it can feel over-scored. To me, "over-scored" is what happens when there is a different creative energy actually taking over for the primary creative vision. So scoring my own films helps us to use music in a really strong, leading, forefront way. Because it's coming from the same imagination, it never feels like it's interrupting or cutting against the overall texture of the film. After the jump is a video clip from a performance of the score by Zeitlin and Romer in LA last November. The MASS MoCA screening/performance starts at 8:30 pm on August 10 (a Saturday). Tickets are $15 ahead / $19 day of. 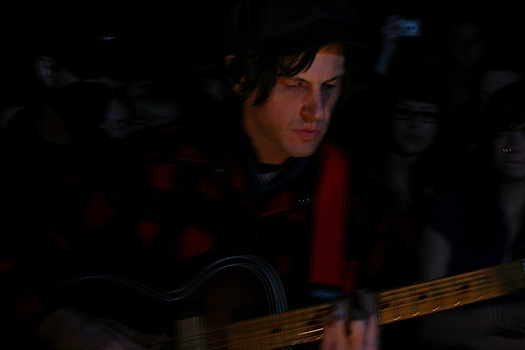 Jeff Mangum -- of Neutral Milk Hotel fame -- is playing a show at MASS MoCA February 16. Openers are The Music Tapes, and Tall Firs. Tickets go on sale this Thursday (November 15). 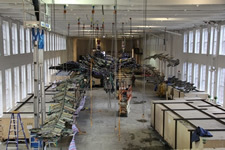 MASS MoCA says price is still to be determined. So, if you're a fan of Neutral Milk Hotel, there's probably a fair amount of squeeing right now. The band was popular during the 1990s as indie acts go, though not big in a general sense. But the people who loved them, loved them. And as sometimes happens with bands like that, Neutral Milk Hotel has ended up being very influential during its afterlife. Its 1998 album In the Aeroplane Over the Sea (album cover, right) is an inspiration for many current acts. The MASS MoCA show is the last stop on the currently announced tour. 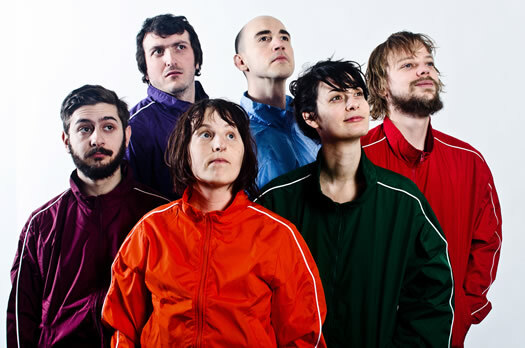 That it includes the Music Tapes is like a double NMH shot -- Julian Koster is a former member of the band. There were thousands of wristbands left over from the two Solid Sound Festivals that we've had, and no one wanted to see them go to waste. The Box Office Manager approached me about making something with them, and I thought it was a brilliant idea! I was only too happy to accept. 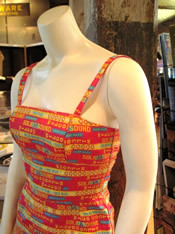 She's created a few other items from museum materials, including a dress from museum logo t-shirts. Upright Citizens Brigade The touring company of improv troupe Upright Citizens Brigade will be MASS MoCA Saturday. 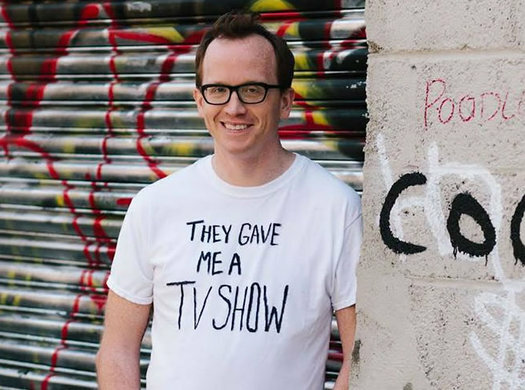 UCB has turned out a bunch of now-famous comic actors over the years: Amy Poehler (one of its founders), Ed Helms, Rob Corrdry, Horatio Sanz, Rob Riggle, Jack McBrayer, Aziz Ansari, Nick Kroll, Paul Scheer, Aubrey Plaza, and on and on (the list of former members and guests is impressive). The show at MASS MoCA starts at 8 pm on Saturday. Tickets start at $25 ($20 for students). 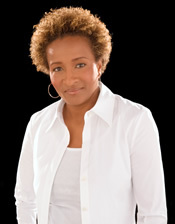 Wanda Sykes Also on Saturday, stand up comic Wanda Sykes (that's her on the right) will be at the Palace. You've probably seen her on TV or in movies. Show's at 8 pm. Tickets start at $20. The exhibit is a collection of wall drawings. The LeWitt retrospective is massive -- it covers 27,000 square feet. 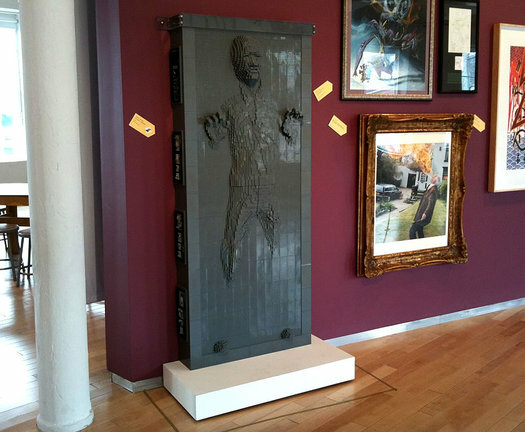 It'll be on display until 2033. The Approval Matrix also charted Taking Woodstock, though the film didn't fare so well. The word "boring" was used. A frame from the time-lapse for "Wall Drawing 1152"
The drawings at MASS MoCA were executed over a six-month period by a team comprising twenty-two of the senior and experienced assistants who worked with the artist over many years; thirty-three student interns from Yale University, Williams College, the Massachusetts College of Liberal Arts, and fourteen other colleges and universities; and thirteen local artists and recent graduates and post-graduates from many of the nation's leading studio-art programs. PBS's NewsHour has posted a slide show of some of the works with audio commentary by the director of the Yale University Art Gallery (he was also a friend of LeWitt). And here's a Flickr pool of photos from the exhibit. If you're interested in checking out the exhibit in person, you have a little bit of time. It's scheduled to be up for the next 25 years. That's him, in the front, post-Pavement. To serve the AOA crowd better, we've split this post into age-specific sections. If you're closer to 45 than 20, here's your section. And if you're closer to 20 than 45, here you go. There's a bunch of free stuff going on at MASS MoCA tomorrow (February 9) from 11am to 8pm. Admission to the galleries? Free. Guided tours of the galleries? Free. Behind-the-scenes tours? Free. Kidspace? Free. Samples of freshly made ice cream (including "Cookie Dough Peanut Butter Swirl")? Free. 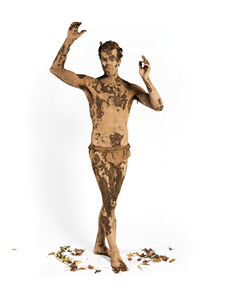 There's also a "Bollywood Dance Party" in the evening, with dance lessons arranged by Jacob's Pillow. That, alas, is not free (it's $14 in advance, $18 day of).